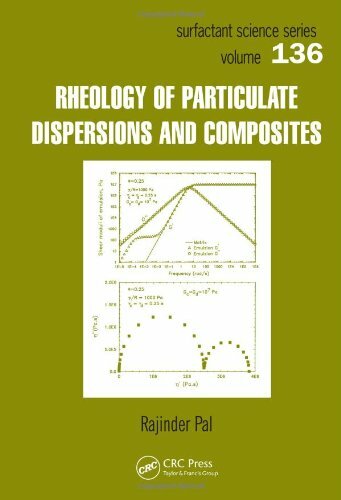 Rheology of Particulate Dispersions and Composites provides comprehensive coverage of fundamental principles and equations that govern the rheology for particulate dispersions and two-phase solid composites. The rheological properties of suspensions, emulsions, bubbly liquids (foams) and other dispersions appear alongside those of solid composite materials for the first time in this unique, single source. The final sections address the elastic properties of particle- and fiber-reinforced solid composite materials. They also discuss dynamic viscoelastic behavior of particulate dispersions and composites. From process design to novel materials development, Rheology of Particulate Dispersions and Composites illustrates the need for understanding rheological behavior throughout numerous commercial and industrial applications. This book is a versatile resource for students and scientists from a broad range of disciplines involved in the application, research, and development of dispersed systems.